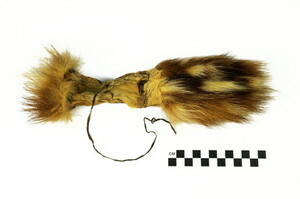 Traditional Inuvialuit clothing had no pockets. 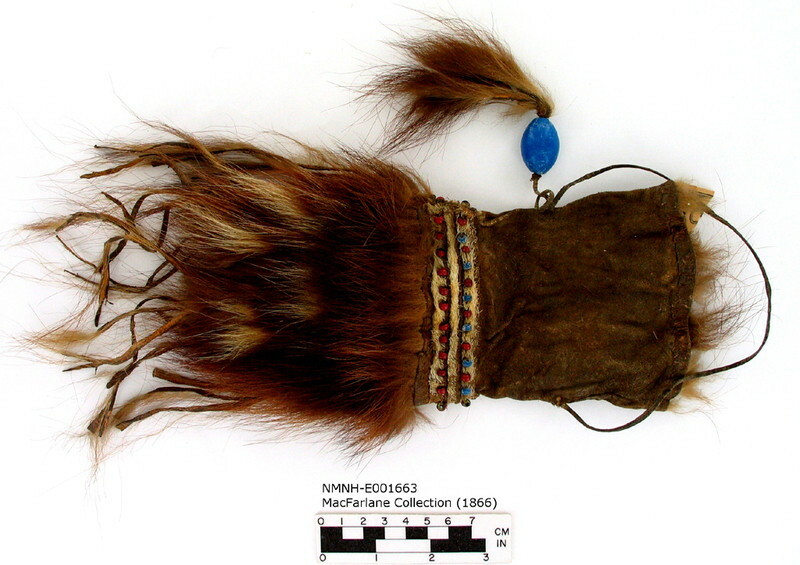 Instead, small bags or pouches were used for carrying items such as sewing implements, tobacco, and tinder, flint and steel for making fire. 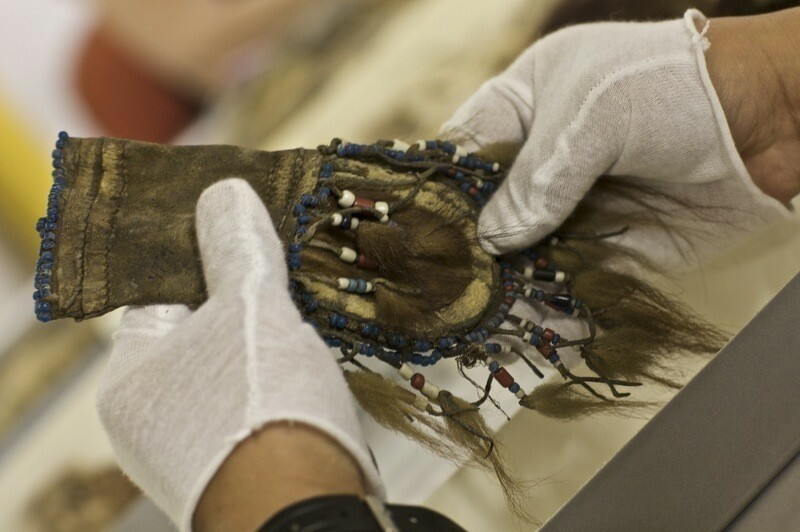 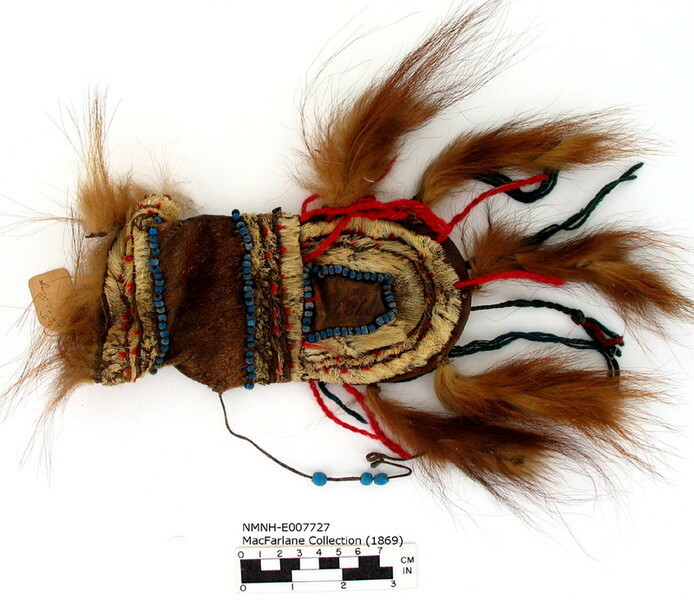 These bags often were exquisitely made by piecing together contrasting pieces of skin and decorating them with fringes and beads. 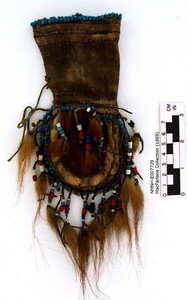 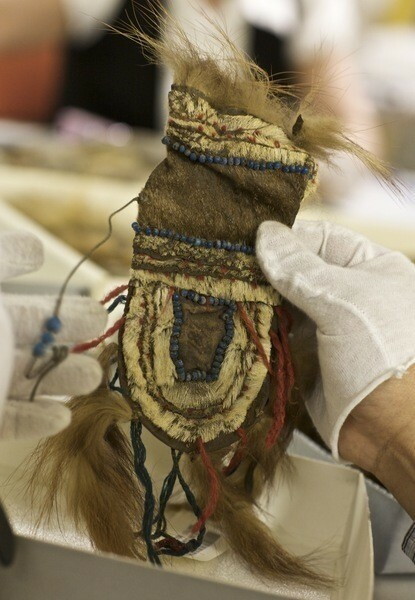 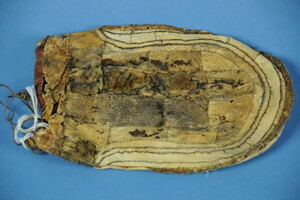 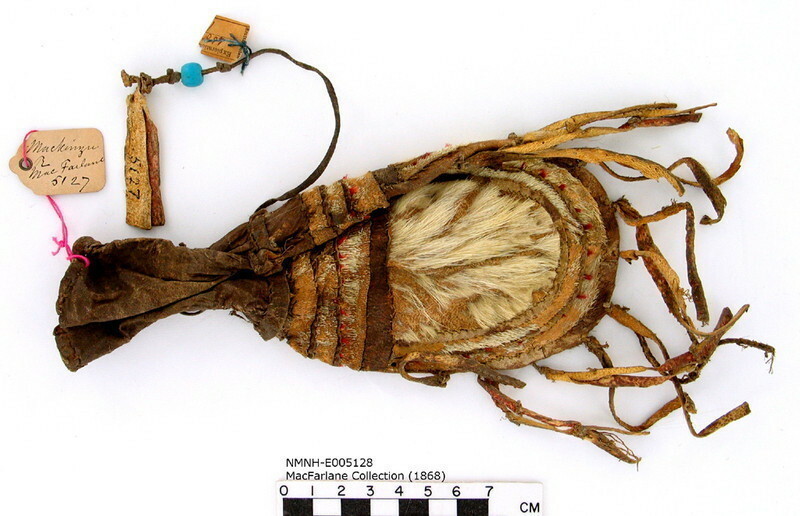 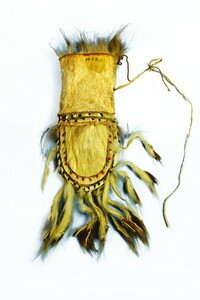 Pouches like the one shown here typically were used to hold tobacco. 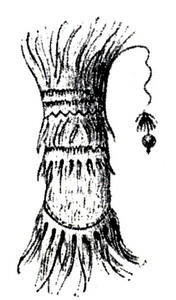 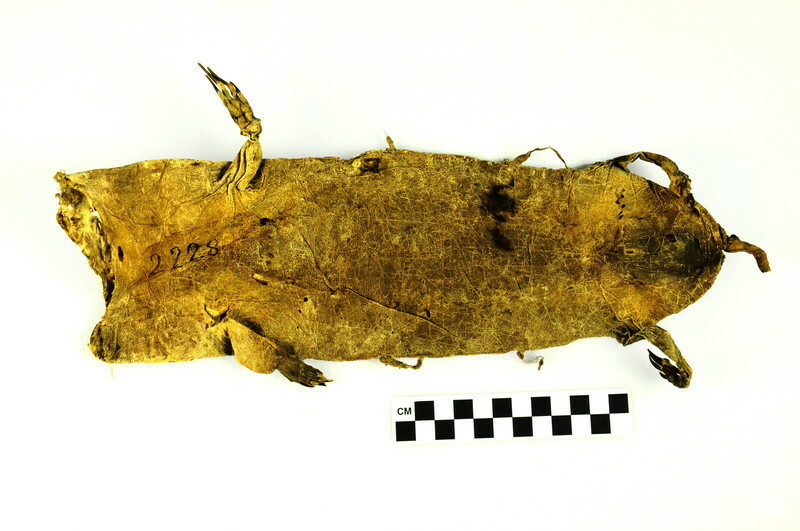 Émile Petitot illustrated an Inuvialuit 'sac á tabac’ (tobacco pouch) which is similar to pouches in the MacFarlane Collection in his 1879 publication, ‘De l’origine asiatique des Indiens de l’Amérique arctique’ (Les Missions Catholiques de Lyon, 1879, Vol. XI).